Now this is an unfamiliar sight: A tattoo artist whose skin is clear of ink. Mico Geologo’s strokes, made permanent on the canvass of the skin, make the littlest of details that our eyes allow us to see. He claims his style lies within the borders of realism, an apt definition as he often renders life-like portraits on the body. “Focusing on this style wasn’t intentional, nor was it a personal choice. My works using this technique just turned out as the best ones. It’s absolutely fulfilling to create drawings inspired from life itself, and there’s always this challenge to give a different sense of life to a tattoo,” the independent tattooist shares. 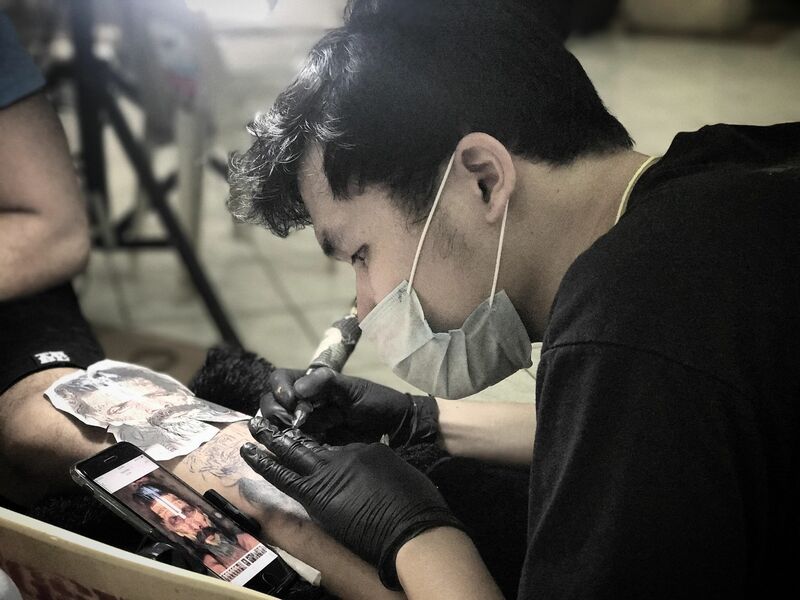 Mico has been inking tattoos since 2014, but it’s only now that he’s found a way for this art form to deepen its purpose—calling on the public to rake up goods for donations in exchange for a minimalist tattoo. He simply sees it as a simple tattoo session for charity. And taking part in “Tattoo for a Cause” is quite simple, too. All interested individuals have to do is to specify their pledges, they can choose to donate noodles, canned goods, rice, milk, biscuits, school and art supplies, clothes, blankets, and pillows. The next step is to send a reference photo of their desired tattoo design. Trust us, the most difficult part of the process will probably be choosing the tiny tattoo you wish to get! Mico’s charity event, which will involve a handful of other tattoo artists, is scheduled for December 4 to 6 at the public park of Poblacion, Makati. People can also opt out of getting a tattoo, but their donations are more than welcome. He says it’s a three-pronged project as it attempts to help the needy, give numerous people a wonderful lifetime remembrance, and shed a positive light on the tattoo industry. “Most people are still judged negatively for having ink on their skin. But tattoos are art to a lot of people. These are marks that have meaning to its wearers. Time has made the public a bit more open-minded, so we’re focusing on taking away that prejudiced stigma even more,” Mico says. Is it difficult to learn the art of inking? Actually, I don't think difficult is the right word. Nothing is difficult if you love what you’re doing. It's challenging because you have a living canvass that feels the pain while you’re in the process of creating art. It’s also important to assure that the proper safety and sanitary processes are followed in every single session. 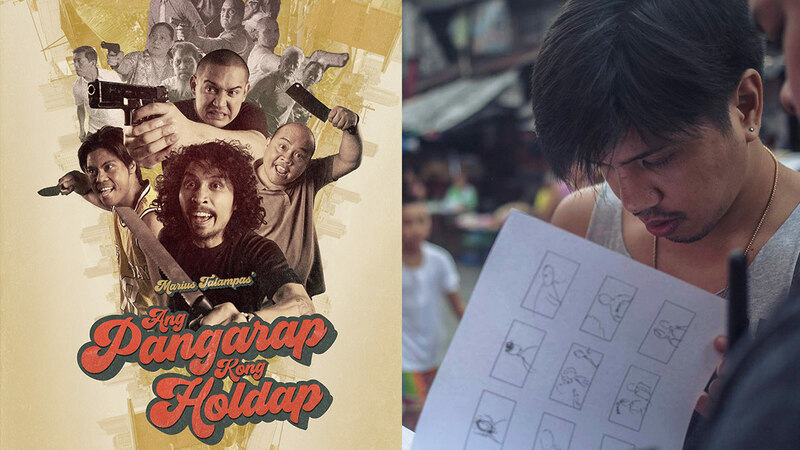 I learned the art of inking from my brother, Pido Geologo. He is really the one who inspired me to try out this medium. He’s actually going to be my co-artist for this charity event! I was his tattoo apprentice way back in 2014, and from then and until now, I am studying the art of inking. Why haven’t you had a tattoo done on your skin yet? I still dream of that full-sleeve tattoo. But until I have an in-depth understanding of tattoo history, it will remain a dream. I’m in the process of learning it, as I’m currently trying to earn a master’s degree in fine arts and design. I want to finish my studies to help me decide on the precise design that would begin the art on my skin. Besides being a tattooist, you’re also a visual artist and an art professor. How different are you as you take on these titles? The tattooist is very patient when it comes to his craft. The visual artist is moody and takes a lot of time to finish anything he starts—if he finishes them at all. The art professor is really strict with deadlines, but also observant of my student’s works. I look at the small details, and love seeing the effort they poured in their works. What’s the most memorable design you’ve done and why? I’ll have to go with the tattoo portrait I’ve done of Whang-Od. It was my entry last year for the first tattoo competition I joined. Luckily, I won 3rd place. Of course, I’m thankful for the person I inked. He was the first one that trusted me as I solely decide which design was to make it on his skin. Cliche as it may seem, every single tattoo you do will be memorable—we spent time, attention, effort and full dedication on every artwork. Who will be the chosen beneficiaries of this charity event? I’m thinking of reaching out to organizations that help oppressed children. As an educator, I always want to inspire young people. This way, maybe we ignite the cycle of giving in these young souls, too. I also want the elderlies to benefit. I want to make them feel that they are not forgotten, that they are still loved, and many people still care for their well-being. What can the participants expect from this event? That it will make us all happy. We can put a smile on the faces of those in need, even just for a while this holiday season. They can also expect full transparency and documentation from tattooing day up to [when we] give away the proceeds. Makakaasa silang makakarating lahat ng tulong na pinaabot nila. For interested participants, you may reach Mico Geologo via Facebook and Instagram.